Helping both companies and their project teams, during the entire software development cycle, deliver high-performing, critical systems that are safe, secure and threat resistant. At the heart of the LDRA tool suite is the LDRA Testbed, which provides the core static and dynamic analysis engines for both host and embedded software analysis. 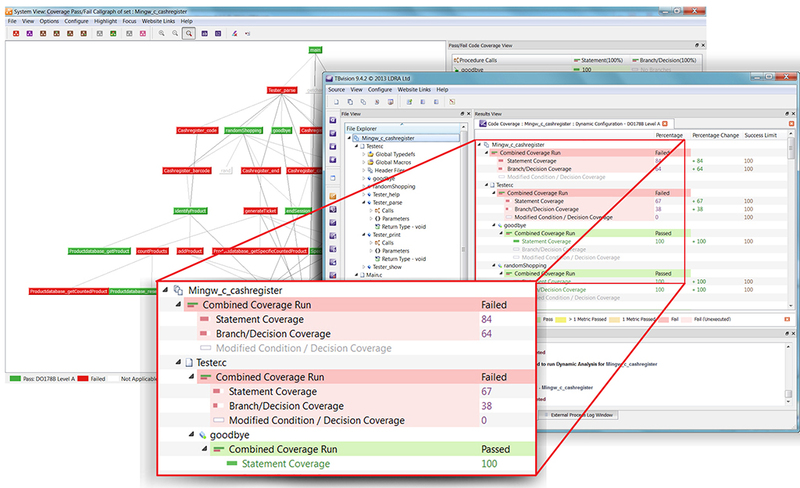 TBvision is the interactive environment for LDRA Testbed that lets you easily visualise coding standards compliance and quality metrics and rapidly address identified flaws at the source code level. With 40 years of code analysis experience in safety-critical, security-critical, and business-critical applications, LDRA Testbed and TBvision provide complete confidence for your software development project. What makes LDRA Testbed the best tool for static and dynamic code analysis? LDRA Testbed enforces compliance with coding standards and clearly indicates software flaws that might otherwise pass through the standard build and test process to become latent problems. Competitive static analysis and dynamic analysis tools are based on commercial parsing technology, leaving most tool vendors at the mercy of a core technology that’s outside their control. LDRA’s proprietary parsing engine allows us to quickly incorporate new analysis techniques to meet changing standards requirements, so you’ll always be at the leading edge of new and improved analysis technologies. With the LDRA Testbed as your foundation, you have complete flexibility to tailor the tool suite for your specific needs. We offer a full range of software testing core components and optional modules, as well as software certification and consulting services, so you only pay for exactly what you need.